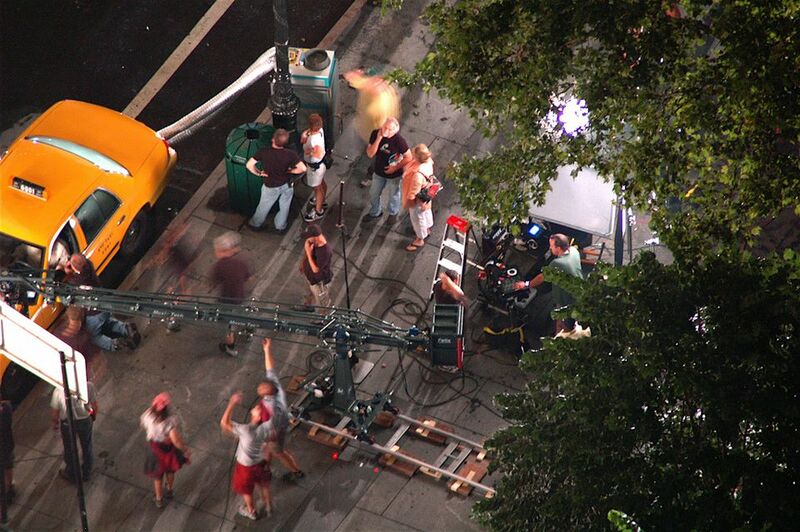 Looking to see some of these and other famous NYC film (and TV) locations ​firsthand? Set out on one of the best film tours in NYC. Robert De Niro's Travis Bickle is an iconic New York character, and Martin Scorsese's Taxi Driver is one of the greatest New York movies of all time. Annie Hall is the classic New York City film, brilliantly written and directed by Woody Allen in his prime, and co-starring the beautiful and charming Diane Keaton. In Spike Lee's brilliant film, the hottest day of the year in Bed-Stuy, Brooklyn, explodes into events that will change the residents' lives forever. Woody Allen is torn between a beautiful teenager (Mariel Hemingway) and his best friend's girlfriend (Diane Keaton) in 1979 Manhattan. In this cult favorite directed by Martin Scorsese, a meek office worker travels downtown in pursuit of a beautiful artist and finds himself trapped in a New York nightmare. Michael Douglas's Gordon Gekko trains the young Charlie Sheen in the ways of Wall Street. Lesson number one: Greed is good. Goodfellas is one of the great mafia movies, filmed primarily in New York City for extra gritty realism. Christopher Reeve is the superhero who saves Metropolis/New York City from the evil Lex Luthor. Kermit the Frog and friends pursue dreams of Broadway stardom in New York City. Al Pacino is New York detective Frank Serpico, who puts his life on the line after exposing police corruption. Harvey Keitel and Robert De Niro star in Scorsese's story of a small-time gambler in big-time debt to loan sharks in New York's Little Italy. This epic tale takes us back to the notorious Five Points neighborhood of New York City in 1863. Al Pacino's attempted New York bank robbery turns into a hostage situation and a standoff with police, which is all captured live on local TV. Will Smith plays the lone human survivor in a post-apocalyptic New York City dominated by vampires. This epic film follows turn-of-the-century Jewish gangsters in New York and stars Robert De Niro and James Woods. Christian Bale plays Patrick Bateman as the ultimate soulless Wall Street yuppie. Are Harry (Billy Crystal) and Sally (Meg Ryan) best friends or something more? This romantic comedy follows the 11-year friendship of two funny New York singles. New York plays a starring role in all of the versions of King Kong, including this 2005 remake by Peter Jackson with Naomi Watts as the object of the big ape's affection. The white suit. The dance moves. See John Travolta in this disco-era classic set in Brooklyn. More post-apocalyptic New York City! This time with Kurt Russell battling to escape from Manhattan before he explodes.